This refreshing mix of pink and white Asiatic Lilies will brighten the garden during the longest days of the year. The pinks range from softest pastel through rose to magenta. Whites include cream, ivory, and pure white, some with spots. The perfect send-off for a summer border. 25 bulbs cover 15–20 sq ft. Exclusive. I planted these lilies last fall and every single plant so far is the same color, magenta. This is a total of 8 plants. The rest of the lilies are not close to blooming yet so we clearly will not be seeing a variety of colors at the same time as advertised. I am very disappointed in this product. 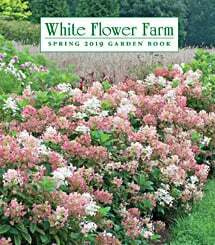 I purchased this collection, and planted them with a full complement of pastel perennials, in a space in my garden that is hot and dry, with 8 hours of sun every day. I didn't expect a whole lot of success in this area, because for years, so many plantings had failed miserably. Well, to my complete and total surprise, every plant grew, and flourished, and these lilies were the show stoppers of the season, and I would recommend them for ANY area which needs a pop of beautiful white, pink, rose, and reddish pink color while the perennials are gathering strength for the big show following the lily bloom! Perfectly gorgeous flowers, heat tolerant, and pretty leaf stalks after bloom are stunning, and stay beautiful for much longer than I expected, and are a big bonus to a difficult area! I may need more of these gems for other areas in my garden! I got these last spring and I am so happy with them.. Beautiful strawberry color with some white lilies mixed in. Easy to grow, delivery was just as I asked for. Thanks so much for the beautiful flowers! Mostly white, very little strawberry....disappointed. I received a selection of mostly white, 3 pinks and 1 apricot. Very Cream and not a lot of strawberry.